There is a cool crisp feeling in the air and I’m about to make another batch of these Pumpkin Cheesecake Fat Bombs!! I am a big fan of fat bombs of almost any flavor really. You guys already know how much I love the Chocolate Chip Cookie Dough Fat Bomb recipe. I rave about it all the time. In fact, I don’t think I ever let my freezer go without having some sort of fat bombs in it year round. 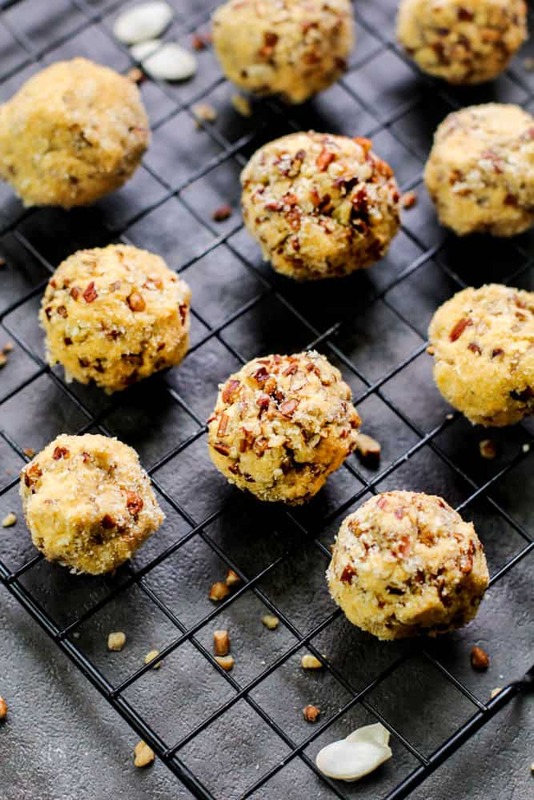 Keto Fat Bombs are probably one of the easiest treats you can make. They are great to have on hand when a sweet tooth moment happens but more importantly, they will keep your macros in check! This is how I prepare myself for success! Ok, so here’s where I want to give you a tip when making these keto fat bombs. Don’t do what I did. I want you to use a powdered sweetener. I’ve made these fat bombs a couple of times now and they don’t have the gritty taste from the sweetener when you use a powdered sweetener. Now, I also want to mention that you don’t have to buy the powdered form of any sweetener. You can simply pulse it in a blender or food processor for a few seconds and get the same result. There’s no need to buy the different types of keto sweeteners when you can easily change its form at home. The pecans are optional but let me tell you something… they add a nice little crunch to this delightful treat! You could add an extra level of flavor by slightly toasting the pecans before you use them in this recipe. Just be sure they are completely cooled down before coating the cheesecake fat bomb recipe with them because it will melt. 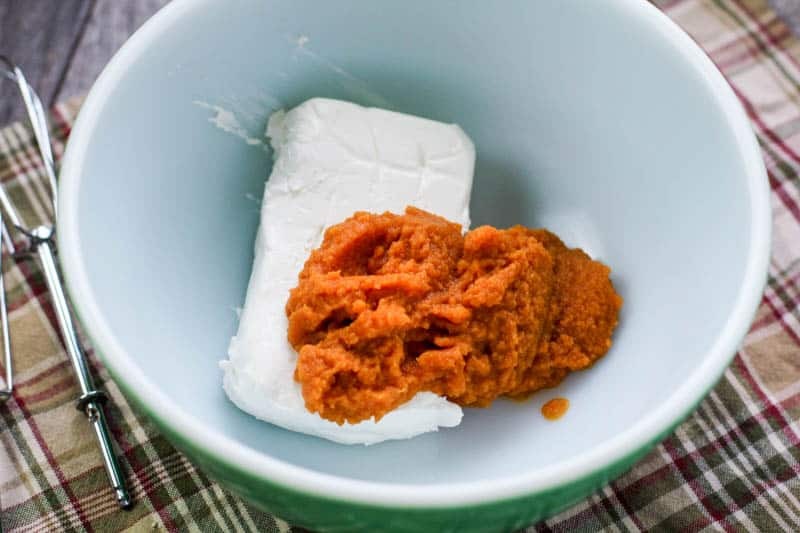 In a large bowl, mix cream cheese and pumpkin puree until smooth. Add in swerve and pumpkin spice. Fold together. 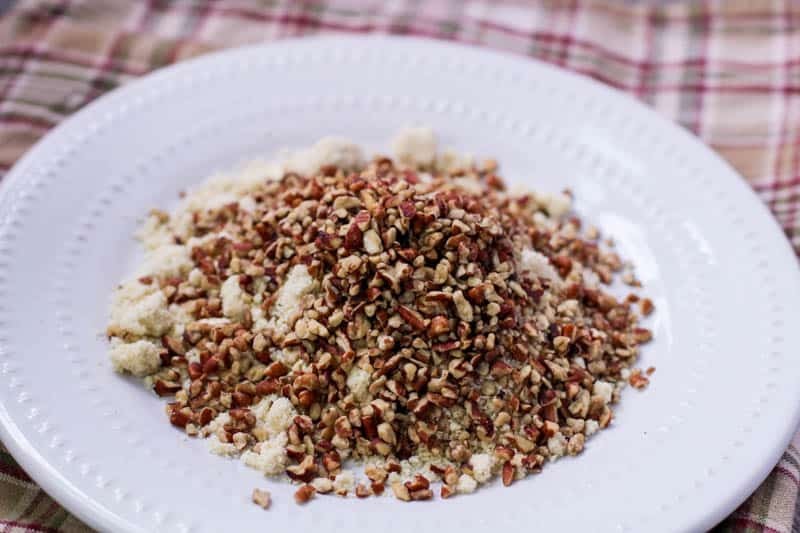 To a large plate add flour of choice and crushed pecans, gently toss together. 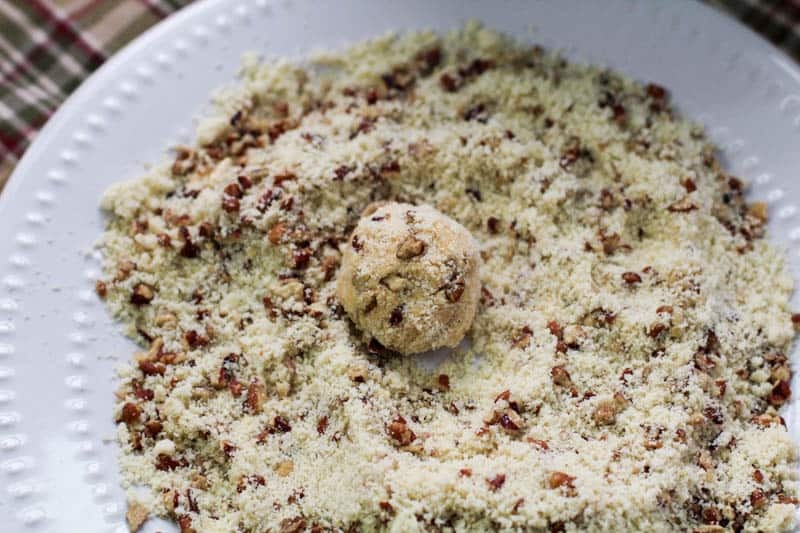 Take a tablespoon of cheesecake mixture and roll into a ball, gently coat with flour and pecan mixture. Put on a baking sheet and refrigerate for one hour. 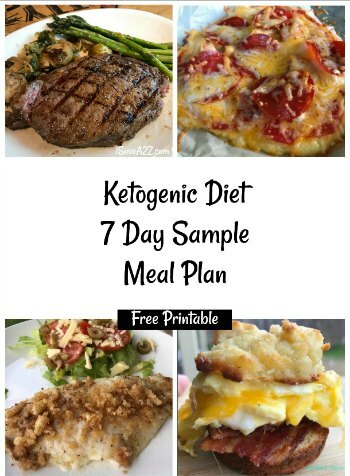 Anyone doing the keto diet! There could be multiple reasons why you might want to eat a fat bomb. First, it would be to add more healthy fats to your diet if you didn’t feel you ate enough during the day. 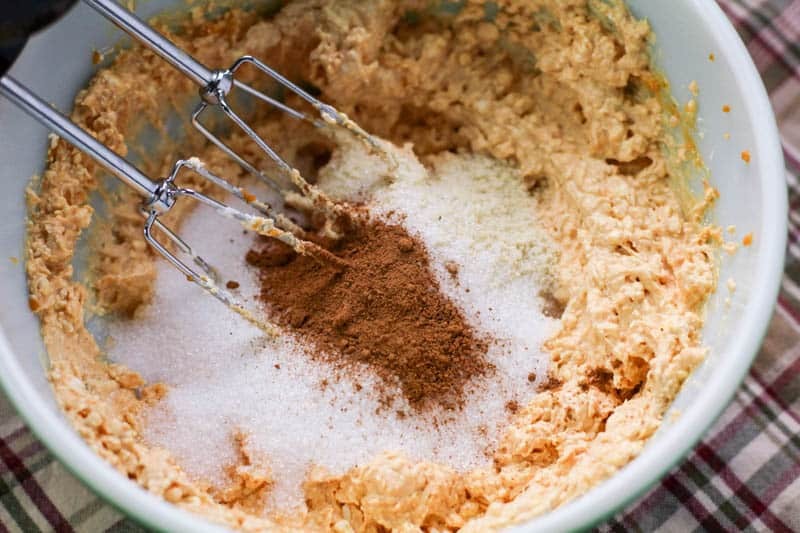 Second, maybe you just want a sweet treat but you don’t want to go overboard with a full Keto mug cake. The portion size is perfect! 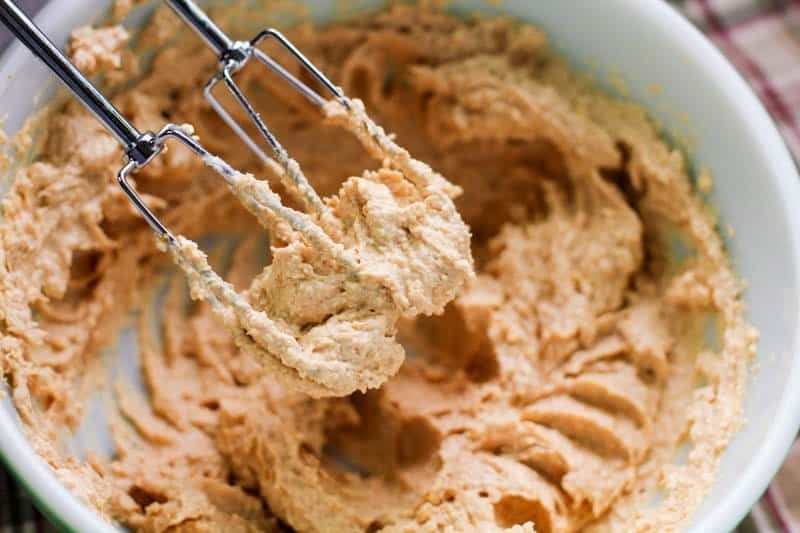 Lastly, some keto dieters prefer to use fat bomb recipes in place of celebration desserts! 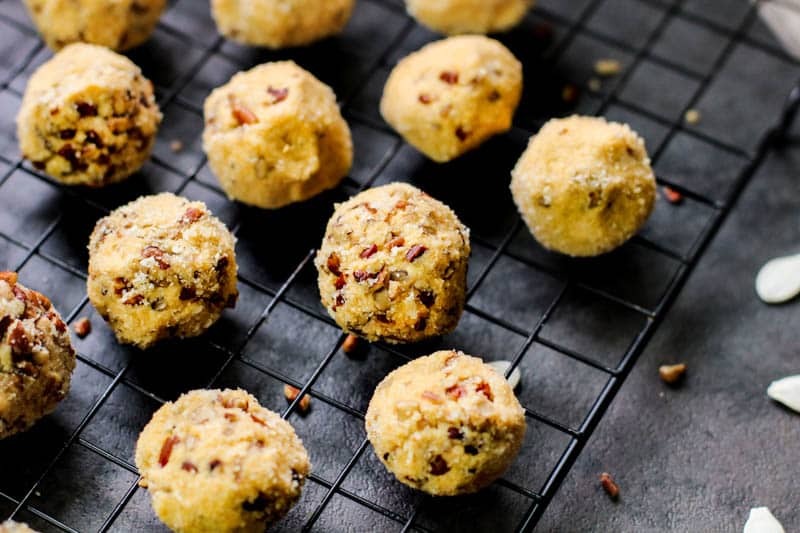 Keto Fat bombs are a creation of healthy fats with add flavors. They are high fat treats. If you are doing the Keto diet, it’s important to eat a high fat (healthy fat) diet! You will get most of your energy from healthy fats! 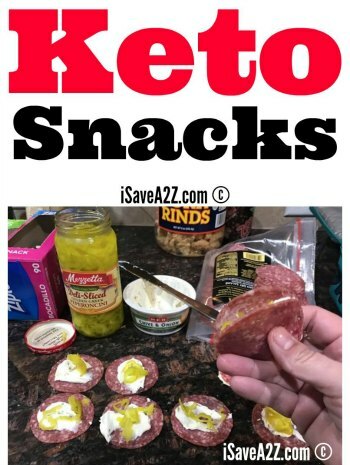 Where do I purchase a Keto Fat bomb? I don’t have the answer to this one. I’m not sure anyone I know sells them. They are super simple to make so I always make them at home. How many keto fat bombs can I eat in a day? This one is tricky. You will need to calculate your macros to determine the calories you can consume in a day. Then you want to track all of the food choices you consume to make sure you stay within those numbers. You might want to read this article that explains the Simple way to start the Ketogenic Diet to help you understand it better. You can reference a macro calculator and watch a video on how to calculate your numbers here on the Beef and Butter Fast Challenge page. Yes! If you are doing the Ketogenic Diet then your body uses fat as it’s main fuel source. 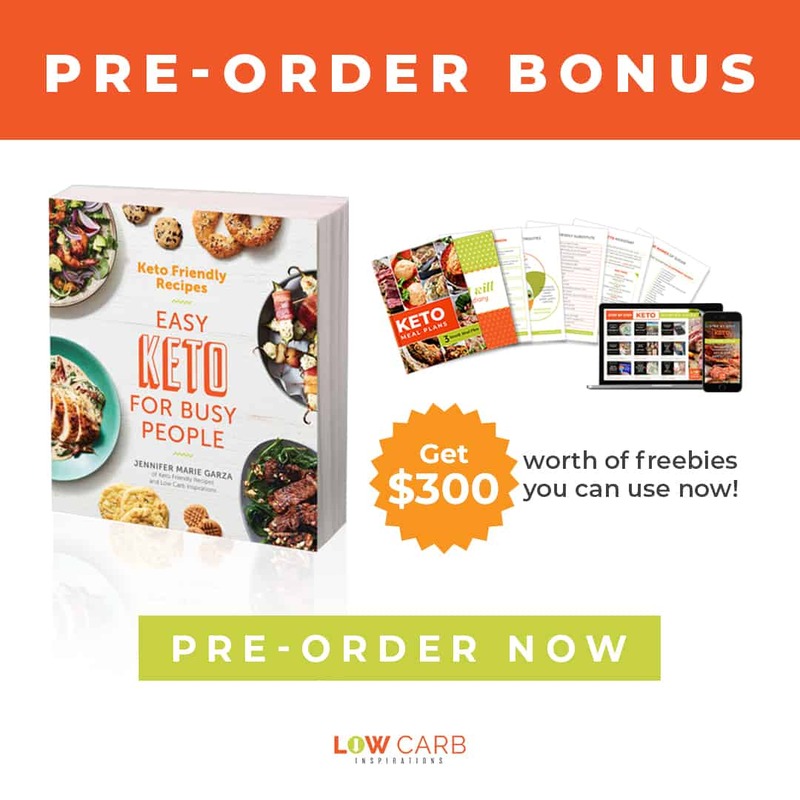 Eating within your calories with a high range of fat is the keto way! Fat is not the enemy here despite what we’ve been told for years and years. It’s only when you combine real sugar and carbs with fat that it’s bad. And the fat is not the bad part. It’s the carbs and sugar that’s bad! If you are asking this question then you really need to learn a bit more about the science behind the Keto diet. I am a big fan of Gary Daubes. He wrote an amazing book called Why We Get Fat and What to Do About It. Read it!! It’s very eye-opening! 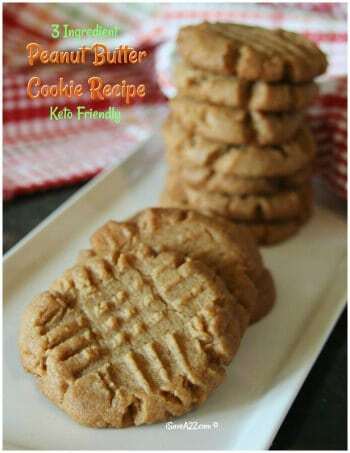 By Neyssa on September 29, 2018 Keto Dessert Recipes, Keto Friendly Recipes, Low Carb Recipes, Weight Watchers.